Time in your time zone. Annotating drawings is something that everybody has to do. No matter how clearly a plan or detail is drawn, it almost always needs some text inserted to convey all the information it should. With AutoCAD® LT, however, that task is easier than ever. In this webcast, AutoCAD LT Technical marketing manager Kate Morrical will explain and demonstrate how built-in tools make adding annotations a snap, whether they’re simple text objects, intelligent dimensions, or detailed tables. She’ll also cover newer features, such as fields and annotation scaling. Soon you will not have the option of the “full” and “classic” versions that has been around for a while but you'll get the best of both worlds according to Microsoft. Faster than ever. It'll be up to 70 percent faster to sign in and see your e-mail.1 Of course, along with more speed, you'll get powerful technology that deflects spam and helps protect you against viruses and scams. Simpler, cleaner design. We're combining the classic and full versions of Hotmail, so you get access to everything Hotmail has to offer. The reading pane will let you check out your e-mail without having to open it up. Put more you in your e-mail. New themes and colors will let you design the look of your inbox, so your personality can really shine through. Closer to your contacts. Just start typing in the "To" line and you'll get a choice of e-mail contacts that most closely match what you've typed. Plus, it'll be even easier to e-mail groups of people. Cool stuff coming soon. We've got even more great updates to Hotmail for you to look forward to, like ever-increasing storage2, the ability to IM right from Hotmail, and new calendar features that make it easier to share your calendar with family and friends. Another things is that TREND MICRO is replaced with Microsoft’s own Windows Live OneCare to scan the emails. Blogger has according to Microsoft introduced a problem that shows itself this way within Windows Live Writer. It happened when I used File>Open and changed from 25 to 50 or more items to select from. Microsoft are waiting for them to make a fix and unfortunately don’t have an ETA. Update 2008-10-02 This problem has now been fixed. “Stella” is Autodesk’s 3D modelling software application built specifically for the design of process plant facilities. The product is intended for use by plant designers at EPCs and Owner–Operators in process industries. All I can say at this point is that it sure looks promising. See In the Pipes for details how to get access to it. In it you can see how to create specs, place equipment, model basic structures, route pipe, and all sorts of other groovy piping stuff (though not isometrics - it's coming - promise!). I found that the latest Windows Live Writer Beta (WLW Build 14.0.5025.904) sometimes have a problem with Link to Source Picture not working as expected. It is supposed to open the source image when you click on it but for some reason it does not work. Here is a workaround to solve this problem. Open up the recently posted post. Select Link to and set it to none. Then set it to Source Picture. Solved and now it works as expected. Not sure though what triggers this problem because it can happen on just some of the images in a blog post. Well the name might need to change to IE8Pro eventually. Anyway. I got some strange crashes in Internet Explorer 8 Beta 2 and found that IE7Pro was causing them. If you have problems like the following you might want to uninstall IE7Pro and see it that helps until it has been fixed. I have tried IE7Pro 2.4 and it still has these problems. is closed “Internet Explorer has stopped working. Windows is checking for a solution to the problem… A problem caused the program to stop working correctly. Windows will close the program and notify you if a solution is available.” followed by "Internet Explorer was closed. To help protect your computer, Data Execution Prevention has closed Internet Explorer. Click to learn more." I get two events after a crash looking like this. 0xcc8, application start time 0x01c91a6af8edc05e. This is a relatively new site where you can say what you think about Autodesk and its products. Let’s see if Autodesk listens. dear Autodesk is a Digg-like open comment site for people with messages for Autodesk. The idea is to provide an open environment so you can say what you really think. AutoCAD 2009 Update 2 includes Update 1. I like the pace Autodesk comes with these updates. 3D Navigation Tools - When you use the ViewCube in some drawings, AutoCAD freezes. .NET API - If you create a wipeout object through .NET API, a fatal error may occur. Annotation Scaling - The scale of annotative text changes when you use LISP entmod() to change the properties of the annotative text. Attributes - When a drawing contains xrefs, the -ATTEDIT command fails. Autodesk Buzzsaw - In the File Navigation dialog box, when you use the Add a Buzzsaw location shortcut option, AutoCAD crashes. Blocks - When you copy and paste a dynamic block, associative hatches do not work. After you redefine a block definition, associative hatches in dynamic blocks display incorrectly. When you open a drawing, a polyline in a block may have a very large width. After you open a drawing, some dynamic blocks lose their dynamic properties. Data Extraction - Data Extraction cannot finish operations in some cases. The Data Extraction Combine Record Mode > Sum values option does not work correctly. DGN Support - When you import some DGN files, AutoCAD crashes. DIM - If alternate units is on and you edit dimension text, the alternate units text is duplicated. Export a Layout to Model Space - If .NET 3.5 Service Pack 1 is installed and you use the EXPORTLAYOUT command on some layouts, AutoCAD may stop responding. Find - The FIND command performs slowly when you search for text. Groups - Rollover highlighting does not go away. Hatch - When you bind a drawing with an xref that contains annotative hatches, AutoCAD crashes. Hide/Shade - When you use the HIDE command with a drawing that contains text, some objects may not be hidden. Image - When you attach a corrupted raster image to a drawing, AutoCAD crashes. Layer - When you zoom to a locked viewport, the Layer palette updates. Layouts - When you attempt to switch layouts in drawings, an Out of Memory crash may occur. Materials - When you import a 3DS file with texture, AutoCAD may crash. Menu/Toolbar - Some menu macros do not work. Multileader (mleader) - Mleader custom arrowheads are not brought over to the drawing from the Tool palette. Multiline Text (mtext) - When you edit mtext in a viewport, it may be duplicated in other viewports. Object Snaps - Osnaps on polylines and mesh objects do not work correctly. Plot - When you plot upside-down, an OLE object does not plot correctly. A drawing that contains hatches and gradients may plot slowly. When plot area is set to View, AutoCAD LT may crash. Publish - When you attempt to publish multiple sheets with PUBLISHCOLLATE=1, only the first sheet of the set is plotted. Quick Properties - When you edit multiple mtext objects through the Quick Properties palette, AutoCAD crashes. Render - When you render some drawings, AutoCAD runs out of memory. Ribbon - If the ribbon is displayed and you select portions of a mtext object that contains multiple formats, the mtext object becomes distorted. Selection - When you select objects in groups, AutoCAD may crash. Tables - When you edit text with space before or after the text within a table cell, AutoCAD crashes. Text - When you move text to a new position within a drawing, it disappears. 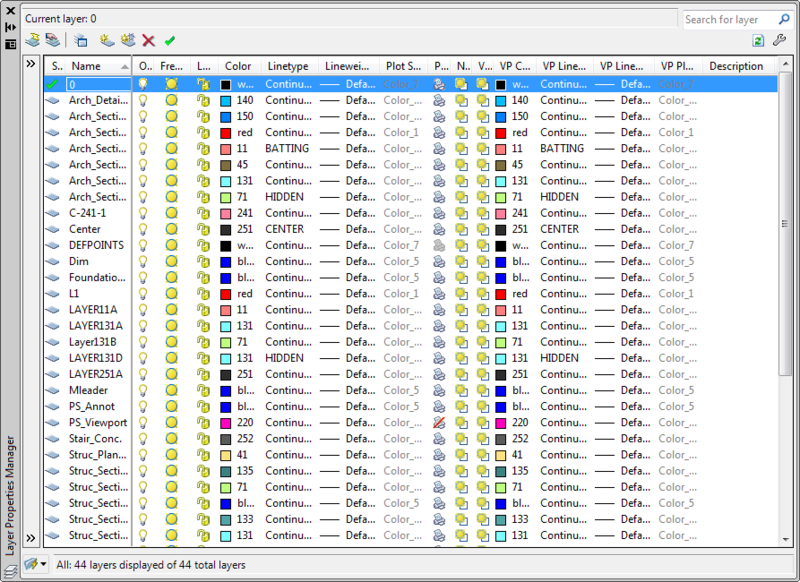 Tool Palettes -When you attempt to edit the properties of multiple Tool Palette tools, an Out of Memory crash may occur. WAN Acceleration Hotfix is also included. Earlier described here. Via Between the Lines – read about the importance of CER. Only if you have Windows Ultimate. Microsoft Tinker is a casual game that provides players with short puzzle game play sessions set in a warm, calming environment. The objective of the game is to complete levels by navigating the robot around the obstacles to reach the end tile. The game levels are organized into sets. Each set has twenty levels. The first level in each set is unlocked. To unlock the next level in a set, you must first complete the previous level. To obtain better results and earn achievement stars, you can return to levels previously completed. Here is a YouTube video I put up showing it in action. Ultimate Extras Sounds from Microsoft Tinker: Based on the positive feedback we received from the release of additional Windows Sound Schemes in April, we've integrated the unique audio sounds from Microsoft Tinker into a new sound scheme. Windows DreamScene Content Pack #4 which adds three additional nature-setting Windows DreamScenes. In a recent Cadalyst Tips & Tools Weekly there was a nice tutorial by Ron Brees and Brad Beuchat. Control Construction Notes with Sheet Set Manager a PDF tutorial for AutoCAD 2006 and later versions to control construction notes dynamically from one location without using an external reference. SSM, Custom Sheet Set Properties and fields are used to achieve this. Building Information Modelling (BIM), Integrated Project Delivery (IPD), Level of Detail (LOD), Model Progression Specification (MPS) are discussed in this article on AECbytes about Organizing the Development of a Building Information Model. Representations of building elements in a BIM, though, are exact, whether they’re intended to be or not, and can give a false indication of the precision actually known at a given point in the design process. … The need for a framework for defining a BIM’s precision and suitability for specific uses becomes obvious. Integrated Project Delivery: A Guide - a 62 pages PDF file can be downloaded for free. Seems like an interesting product in a company environment that have strict rules on what to install and run. new anti-virus product from a company called CoreTrace. The product, called BOUNCER, takes an entirely different approach to blocking unwanted malware. Instead of using a blacklist like today’s anti-virus products do, the software does application whitelisting. This type of security is so effective that at the recent DEFCON conference, CoreTrace’s app stopped 100% of the computer viruses during the ‘Race to Zero” competition. I also like this feature. I understand it could make it easier for beta testers, CAD managers and the like. Higher employee productivity due to NEW “Trusted Change” (patent pending) that allows users to install and upgrade applications from trusted sources without involving IT staff each time. I like the optical effect of this skyscraper by Skidmore Owings and Merrill that you will be able to see from E 57th St in New York. When it is ready you will find it here. I had a problem attaching images within Issue Tracking Anywhere after I started using IE8 B2. When I click on Upload I got “File’s path unavailable!”. That is now solved so it works with IE8 B2 as well as Firefox 3. Notice though that it does not work with “Compatibility View” activated in IE8 B2. This previous post describes the tip to make boundaries valid for SpaceUpdateSelectedSpaces command but some found that there was no way to do it, the Bound Spaces property was missing from the Properties Palette. Thanks to Dean Tidwell, J. M. Waller Associates, Inc. for finding how to add the missing Bound Spaces option on the Properties palette that might not show up for you in AutoCAD Architecture 2009 if you migrated the settings from an earlier ACA version. The command is AecSpaceDisplayBoundSpacesProperty and let you turn it on or off. The objects designed to form the boundary of an associative space must have their Bound Spaces property set to Yes before generating the space. You can set the Bound Spaces property on the object, or, for objects that use styles, you can set it in the object style. Tip! Before setting the Bound Spaces property of a boundary object to Yes, verify that this type of object is a valid boundary object for the space you want to generate. For example, a roof or roof slab is a valid boundary object only for 3D freeform spaces; you cannot use it to generate an extruded 3D space or a 2D space, even if the slab’s Bound Spaces property is set to Yes. The following overview graphic shows how the setting of the Bound Spaces property on the boundary object affects the generation of associative spaces. For detailed information on how to set the Bound Spaces property for a boundary object, consult the sections following below. Beginning with AutoCAD Architecture 2009, the mechanism by which objects are defined as boundary objects for spaces has changed. In previous versions, objects were selected by applying an object filter during the space generation. In AutoCAD Architecture 2009, each object has its own Bound Spaces property on the Properties palette or in the object style and is there defined as a boundary object. When you import a profile (ARG file) from a previous release, the Bound spaces property in the Properties palette is not displayed for AutoCAD linework (lines, arcs, circles, polylines) in the imported profile. In order to display that property for AutoCAD linework, run the AecSpaceDisplayBoundSpacesProperty command on the command line. This will enable the display of the Bound Spaces property for AutoCAD linework in the Properties palette. The title says it all. This marks that there are 1000 blog posts including this one with the first post back in November 2004. The spots with zero visits so far are Western Sahara, Guinea-Bissau, North Korea, Turkmenistan, Tajikistan and possibly some of the really small countries not to be seen easily on the maps. It seems everyone uses Google as search engine as 94.41% of the hits that came from search engines (organic traffic) came via Google. Yahoo was on second place with 3.46%. Microsoft’s search is really after with 1,05% and if I just look on the latest months I find that Google has increased to 94.89% of the traffic. Does this mean that searches on say Live Search does not show up this blog or does no one use anything else than Google? I think most are actually using Google as I found that several times I rank higher on Live Search than on Google. When it comes to browsers Internet Explorer (63.04% last 30 days) is still ahead of Firefox even though Firefox (31.34% last 30 days) has increased more and more. Below is Opera in Red, Chrome in yellow (increasing) and Safari in Cyan. Vista users are now 26% of the visitors compared to 21% 6 months ago. I used a pre-release of this Windows Live Wave 3 so I have been able to center images, crop and tile them as well as the additional border styles for images like reflection, drop shadows and more. But now it’s more publicly available. No question about it. Go get it. Download Windows Live Writer Beta (14.0.5025.904) and you have the chance to get a lot of other goodies like new versions of Messenger, Mail, Photo Gallery, Movie Maker (should rather be called alpha because of the limited functionality and feature set, I first thought the installation was broken), Writer, Toolbar, and Family Safety. I also was asked to install Microsoft Office Outlook Connector. With Microsoft Office Outlook Connector, you can use Microsoft Office Outlook 2003 or Microsoft Office Outlook 2007 to access and manage your Microsoft Windows Live Hotmail or Microsoft Office Live Mail accounts, including e-mail messages and contacts for free. I had a problem with the installation. “Writer Beta couldn’t be installed. Code 0x80004005 (Source: install)” To solve this I had to uninstall Writer and the try again. Notice that all drafts and settings are still there after a reinstall. Download the new betas from http://download.live.com. Several fixes has been done. If you’re interested in the new version contact me to get access to JTB FlexReport 5 alpha 2. This hotfix improves performance of save to 2007 DWG format when running in a WAN Acceleration environment. WAN acceleration technology typically relies on data-deduplication as a significant part of accelerating data transfer. The 2007 DWG format is written to disk with a type of error-checking that has the side-effect of nearly every byte of the file changing during full-save, even if little was changed. WAN accelerators fail to deduplicate the 2007 DWG data and must transfer nearly all bytes in the 2007 DWG file. This results in a slow-down during full-save when working over a slow WAN. This hotfix will make a small change in the way the 2007 format DWG files are written to disk such that WAN acceleration hardware will be better able to deduplicate the 2007 DWG data; this will provide some performance gains for SAVE operations when users are saving across a WAN acceleration environment. The resulting 2007 DWG file will be readable whether or not others have this hotfix, but to achieve the best performance everyone working on the same DWG should install this hotfix. After installing the hotfix, you must set the Windows environment variable, ACADCOMPRESSIONMODE to 1 for it to have effect. Make sure to read the Readme on how to install acdb17.dll and AcSignCore16.dll and set the ACADCOMPRESSIONMODE environment variable. Autodesk is working to consolidate multiple user accounts, simplify the sign in process, and provide a single User ID and Password for accessing several Autodesk web sites. Access to register or edit your existing account information will be restricted during the September 18-21 launch window. Additionally, the sites affected will be unavailable Monday, September 22. To help ensure a smooth transition, we recommend that you review your current account information for accuracy before September 19, especially first name, last name, and e-mail address. Please note: If you have multiple User IDs with the same email address and want to keep those User IDs, you’ll need to assign a unique email address for each User ID. More on this previous post. If you want to get a sneak peek on the next big release of the network license report application JTB FlexReport just contact me for a document describing what’s in it and if you want there is also a demo report application that you can run on your PC or server that does not interfere with existing installation of other versions of JTB FlexReport. Excel is no longer needed for the reports. I would love to get your feedback. Notice how the Number 00 is not visible in the Sample Result as well as how the dot “.” is change to a comma “,” due to the Windows Regional and Language Options settings. I have it set to Swedish format and this can be a problem for other languages as well. If you don't want this to happen you need to change the formula to look like this instead by enclosing the properties with double quotes and combine them with “&”. Interesting reading on Kean’s meeting with John Walker, one of Autodesk's founders and its former CEO. Look forward reading the rest. Chrome is the new browser from Google you probably have heard about by now. In general it works pretty good and I think the speed is quite good to render the web pages. The Task Manager is a cool geeky thing. I like the clean interface and the address field search functionality but be cautious because of some security vulnerability it has. See also this post. One thing that bug me is that I cannot use the wheel to scroll with by holding the wheel down and drag up and down as I often do. Google Chrome uses WebKit for rendering, which is the same rendering engine as Apple’s Safari browser so most web sites show up as expected. Google Chrome is a per-user application. It installs in the per-user Local AppData folder. This makes it easier to install if you don’t have administrator privileges. Google Chrome doesn’t so far support browser extensions but it does support plug-ins, such as Flash. The Chrome comics describing how it works. Make a visit to pages like these: "about:network", "about:stats", "about:dns" and "about:memory"
Say you select a space in AutoCAD Architecture and select Update Space Geometry>Selected Spaces and it does not work. Select the lines and set Bound spaces to Yes. This is a new thing in ACA 2009. Now try again and it will work as expected. No valid boundaries generated can also be seen if the objects forming the boundary is not closed. One user has also reported that he does not have the Bound spaces option available in ACA 2009 for some reason. Any idea why? I got a question on this if there is a trial for ACA 2009. Here is the location for downloading the free 30-day trial of AutoCAD Architecture 2009. If you want it on DVD this is the location. It is the fully functional product except that you can only use it for 30 days. In the Knowledge Base document Slow performance you find 7 tips worth knowing about. You experienced unusually slow performance when using AutoCAD®, especially when working in palettes (for example, Properties palette, Design Center, Tool Palettes, Sheet Set Manager, Layer Manager). In AutoCAD® 2009, enable the AutoCAD Classic workspace. Dock any desktop element and make sure that none of the palettes are floating. Turn off any unused palettes. If using multiple monitors, see if using only a single monitor improves performance. Click Start menu (Windows) > Control Panel. In the Control Panel, double-click Display. On the Troubleshoot tab, adjust the Hardware Acceleration slider as needed. If you are using an nVidia graphics card adapter, check to see if a process called nwiz.exe is being loaded when AutoCAD is started. Disable it from being loaded by default. If you have installed the nView Desktop Manager, make sure no additional features are used. Uninstall it from Add or Remove programs in Windows, if possible. It’s like zoom previous on steroids and I look forward having it added into the core AutoCAD in the future. The free Navigation Tool for AutoCAD is available at Autodesk Labs. I’ve thought about posting this for a while and was triggered by a question in Autodesk’s discussion group for AutoCAD 2009. Even if you select “Clear Recent Document List” the Sheet Sets comes back to Recent Documents in the Menu Browser after a while. They actually comes back if you run the Sheet Set manager (command SSM) and have anything in that SSM Recent list. A side effect is that today’s date is used even if you have not even used that Sheet Set for a long time. There are three locations AutoCAD 2009 uses for the Resent File List that is related to Sheet Sets (DST-files). To completely clear also the Sheet Sets you would need to first clear the Sheet Set Recent List. The Sheet Set Recent List is saved in the profile. This is used if you click on Recent in Sheet Set Manager. Only edit this file when AutoCAD is not running. <Profile> is the name of the AutoCAD profile. Default is “Unnamed Profile”. AutoCAD 2009\R17.2\enu are parts of the path that is different depending on AutoCAD version, vertical and language. Right now there is is a bug in AutoCAD 2009 that makes it impossible to select any of the recent Sheet Set files because the menu collapses the second it opens. Not sure why this comes or how to fix it. Could be related to that I have so much on my machine like older AutoCAD versions, etc. Any solution to this problem? The aws files are XML files and can easily be edited using the Microsoft freeware XML Notepad or even plain Notepad. Make sure you have a backup of the aws file in case you unintentionally do something that corrupts the aws file. Search for MRU_FILES and delete the MRU_FILE “folders” that you don’t want to keep. After that you can select Clear Recent Document List and it will be completely cleared. This location is cleared if you right click on one of the recent documents. Another tip is to group the recent list by type instead of group by date and the sheet set will show at the bottom. Update: Rick Moore informed me that this is not always the case. It seems like the type that is last used is what is on top using Group by Type. But if you have SSM to automatically open when you start AutoCAD the sheet sets will be on the top when you start AutoCAD. A tip that is a bit related is that you can set the number of recently-used files in the Menu Browser to anything between 0 and 50. You find it in Options>Open and Save. This logic also applies to AutoCAD verticals like AutoCAD Architecture and some of it probably applies to older AutoCAD versions like where the Sheet Set recent history is located. If you have read this far you probably use the Sheet Set Manager and I recommend you take a look at SSMPropEditor that will make your life easier by allowing you to edit Sheet Set Properties on multiple Sheets at a time. Found on the new Microsoft start page. IT tool worth knowing about. With the Windows Installer CleanUp Utility, you can remove a program's Windows Installer configuration information. You may want to remove the Windows Installer configuration information for your program if you experience installation (Setup) problems. For example, you may have to remove a program's Windows Installer configuration information if you have installation problems when you try to add (or remove) a component of your program that was not included when you first installed your program. I noticed a good thing after installing Internet Explorer 8 Beta 2. In How to show website favicons on the Vista desktop I described a problem and it was related to IE7 on Vista. Now the favicon is used when you right click in IE and select “Create Shortcut”.